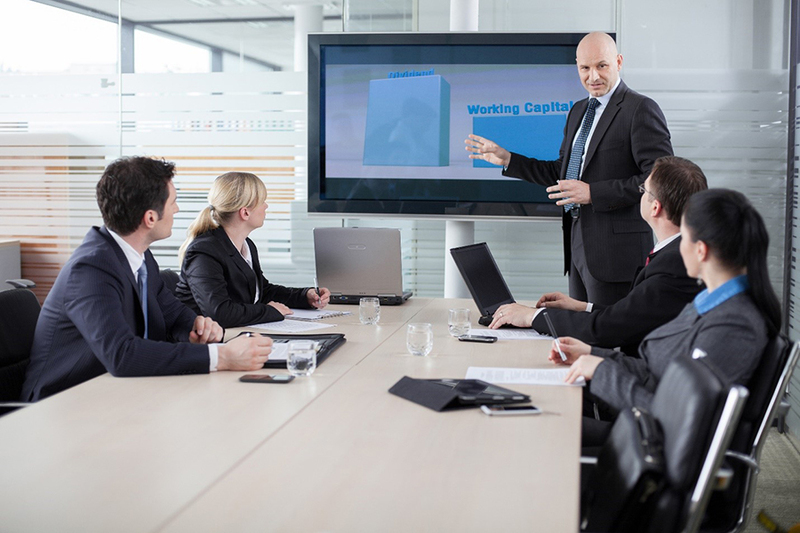 Whether you’re just starting a business or you’re looking to take your company to the next level, we can do a boardroom technology installation to make your work environment more convenient and effective. Easy-to-use controls can transform the way you conduct meetings, communicate with employees and manage your day. Plus, a strong network and integrated system will allow you to control every aspect of your conference room with the touch of a single button. Read on to find out how smart technology can enhance your office for a more fun, functional and productive workplace. A strong network is the backbone of your business operations. Your audio, video, lighting, shading, climate and security system can all be controlled from a single mobile device—like a smartphone or tablet –when you have Internet-enabled, wireless technology. We can combine wireless and wired solutions to build a robust network that can support all of your systems. Without it, your calls over the Internet might lag, or get dropped altogether. It’s crucial to have Internet access at all times in today’s global marketplace. Poor performance could ruin a presentation or an important phone call. Let our team ensure a clear, reliable connection with a new network. It’s no secret that a comfortable worker is a more productive worker, and as the days get longer and hotter this summer, you’re going to need a way to keep your employees cool. Keep the sun out with motorized shades and create a bright environment with smart lighting. Integrate automated climate control to quickly raise or lower the temperature as needed throughout the day. But don’t think smart shading and lighting are just about staying comfortable. By including these features in your boardroom, you can create the perfect environment to conduct your meetings. Keep all eyes on you when you lower the shades and raise lighting in a specified zone so you can command attention whenever you gather. Interoffice communication is essential to running an effective and efficient workplace. So use an HD intercom system to make talking to your employees throughout the office more personal and professional. See and hear what everyone has to say without leaving your desk, and gather everyone into the boardroom for an important meeting from your tablet or smartphone. With an HD intercom, your workplace will run more smoothly and efficiently. Are you ready to upgrade your office with boardroom technology? Contact us to get started on a boardroom technology installation today.